As a high school cross country and track athlete I saw the highs of leading a high school team to a California State championship and the lows of a collegiate career filled with injuries and lessons learned. After a near 10 year hiatus from endurance sports to pursue adventures in rock climbing around the globe, I entered grad school at UC Davis and stumbled upon their cycling team. 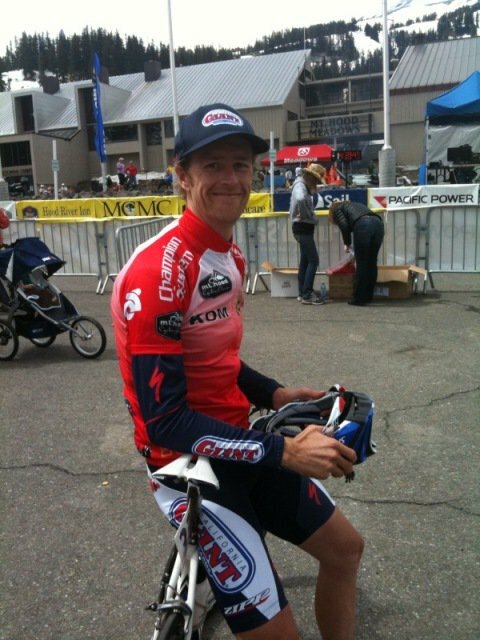 That was when I fell in love with bike racing and chased that passion, competing nationally with the California Giant/Specialized racing team, until retiring as a Cat 1 in 2012. Recently my focus has shifted to Triathlon, qualifying multiple times for both the Kona Full and Half Ironman World Championship races. I completed my graduate degree at UC Davis in exercise physiology in 2006. While conducting my research on the effects of cycling cadence on fatigue and performance I served as an intern in the UC Davis Sports Medicine program. Through that program I found myself testing and coaching many top professional and amateur athletes and discovered that I had an aptitude and a passion for helping people achieve their goals. I knew right away I wanted coaching to be my vocation and took the plunge to make that happen. After graduating, I started Moore Performance Coaching. Leveraging my unique combination of practical experience, scientific training and ability to connect with athletes, I have continued to expand my previous coaching experiences with track athletes, cross country runners and rock climbers to include cyclists of all levels, from juniors to top ten Tour de France finishers, Ironman triathletes and cross country skiers. I am currently a USA Cycling certified coach with over a decade of experience helping athletes reach their goals. So let's get started!